I've been running quite a lot recently. Loving my new sportswears from Nike and H&M. New clothes is definitely the best motivation! Happily pinning. I am loving Pinterest so much right now. 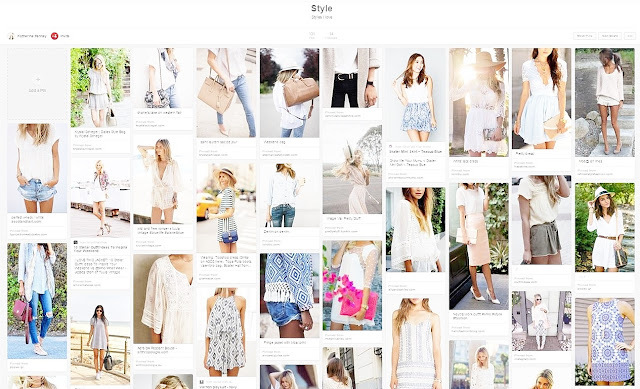 So much beautiful outfit inspiration adn pretty summery pictures. So if you love Pinterest too then you can chek me out here. And leave you Pinterest pages linked in the comments as I love finding new people to follow. I'm loving the pink grapefruit and mango home scent right now. It's fruity and summery but not too overpowering. Can't remember if it is M&S or Next though!